'Hidden History' Of Koch Brothers Traces Their Childhood And Political Rise Jane Mayer, author of Dark Money, says the Kochs didn't grow up in "the usual cozy, all-American family." Their parents were away much of the time, and competition between the brothers was fierce. David Koch speaks at the Defending the American Dream summit in 2015. He and his brother Charles lead a conservative political network that plans to spend hundreds of millions of dollars on the 2016 elections. In January 2015, at a private conference in Palm Springs, Calif., the political network led by conservative billionaires Charles and David Koch announced plans to spend $889 million in the 2016 elections. The organization consists almost entirely of groups that don't register under the campaign finance laws and therefore don't publicly identify their donors. 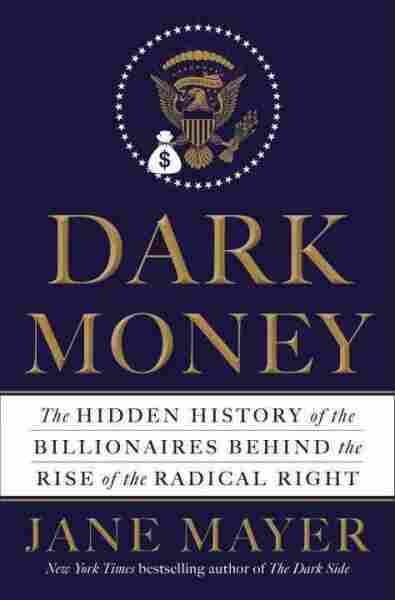 Journalist Jane Mayer traces the growing influence of the Koch brothers and other wealthy conservative donors in her new book, Dark Money: The Hidden History of the Billionaires Behind the Rise of the Radical Right. According to Mayer, the Kochs and other conservatives have created philanthropic entities that enable them to aggressively pursue a libertarian agenda of lower taxes, deregulation of business and the denial of climate change. Because they are considered charities, the philanthropic groups "don't need to disclose the names of their donors," Mayer tells Fresh Air's Dave Davies. "These are the groups that are called 'dark money groups,' and they thus become kind of secret banks that affect American politics in a huge way without most people understanding who is behind them." It's very worrisome to many Americans to think that the whole ideal of one man, one vote might be overwhelmed by 400 of the richest people of any political persuasion picking the next leader for them. Mayer warns that such influence and secrecy undermines democracy: "It's very worrisome to many Americans to think that the whole ideal of one man, one vote might be overwhelmed by 400 of the richest people of any political persuasion picking the next leader for them. That's just not how democracy is supposed to work." I think the genius of the Kochs is the magic trick that they've really figured out, which is that it's not just their money funding this; they've created a consortium. It's a club where you've got maybe 400 people who are cumulatively enormously wealthy. I tried to figure out at one point how many billionaires were involved just in the first term of Obama's presidency, because they were funding so much of the opposition to Obama, and I got to a count of 18 billionaires who are known and whose net worth put together was $214 billion. Now, obviously they're not spending all of it on politics, but it gives you a sense of the throw-weight of this tiny, concentrated group of people. Fred Koch, the patriarch of the family, was an expert in building oil refineries, and he and a friend named William Rhodes Davis proposed building one in Germany during 1934, '35, that period in there. In 1933, Adolf Hitler became chancellor of the Third Reich in Germany, so this meant working under the Third Reich. And in order to get permission, they actually had to go to Hitler himself, and William Rhodes Davis did the "Heil Hitler" to greet Hitler, and finally they got Hitler to greenlight this proposal so that they could build an oil refinery in Hamburg. And the Hamburg Oil Refinery, built by the Winkler-Koch Co., became key, according to several German historians I talked to, to Hitler's war efforts. By the time they built it, it was already clear that Hitler had very major military ambitions, but one of the things he was unable to do was to refine high-octane oil for warplanes. What this plant did was create that capacity, and it eventually supplied much of the fuel that was needed for Hitler's Luftwaffe. He was not a Nazi, and I certainly don't suggest that in the book, but what he was was an American businessman looking for a good deal, and he was looking all over the world to see how he could make some money. Oddly, and what's been known before, is before working under Hitler's Third Reich, Fred Koch had worked for Stalin, where — under Stalin's first five-year plan — Fred Koch helped build up the Russian, the Soviet oil refineries and really gave huge muscle to the oil industry in the Soviet Union. I think their parents seem to have cared quite a bit about them, but they were the kinds of parents who were gone much of the time. The father was gone doing business, and the mother was a very active socialite and was gone much of the time, and so she and the father placed the child rearing in the hands of a hired nanny. Here again, you get this strange recurrence of a kind of little touch of Nazi Germany, because ... Charles and Frederick, the oldest sons, were put in the hands of a German nanny who was described by other family members as just a fervid Nazi. She was so devout a supporter of Hitler that finally, after five years working for the family, she left of her own volition in 1940 when Hitler entered France because she wanted to celebrate with the Fuehrer. It's been rumored about for years in other write-ups about the Kochs, and there have been various descriptions of people denying it, but I actually got a hold of a sealed deposition in which one of the brothers, Bill Koch, describes the whole thing as it unfolded. The brother who they were accusing — Frederick, who was the eldest — stood up, looked at them, said, "I never want to hear about this again," and walked out of the room. It didn't work. But as a ploy, I think it gives you an idea of a family that is not the usual cozy, all-American family. It was in the 1990s. 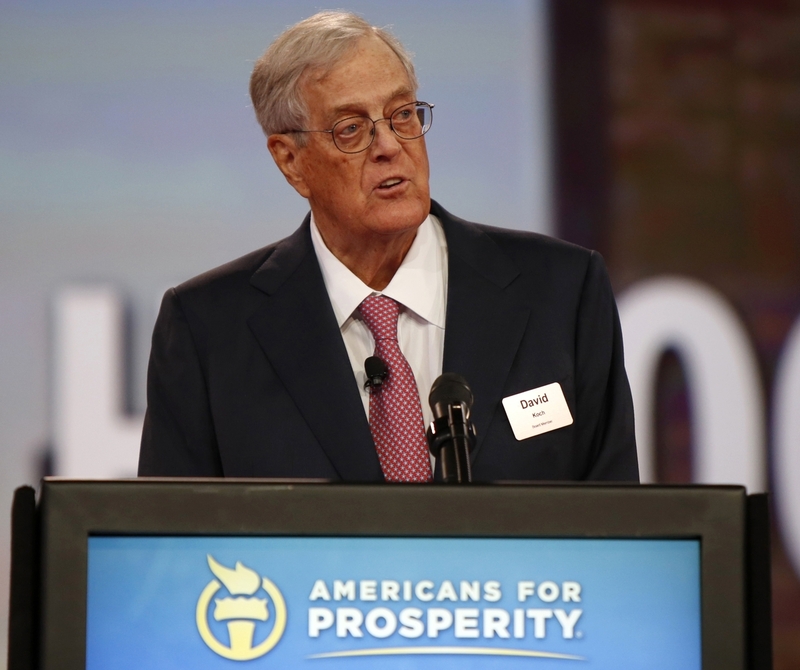 Koch Industries was dragged in front of the U.S. Senate. There was a committee investigating the company, looking into accusations that it had stolen oil from Indian reservations by purposefully mis-measuring it and had pocketed millions and millions of dollars of extra money by doing so. The company didn't deny it at the time. ... They said it had happened, but they said it was an accident. But if you take a look at the Senate report, what you see is that other companies that were operating around the same time in that same oil patch didn't have this problem. They've raised eyebrows in pushing the limits of what a company can get away with for decades during this period, and to some extent it was in harmony with Charles Koch's hard-lined libertarian views, that the government just should not interfere with private enterprise.